It’s Wednesday and time for a few sneak peeks from our designers. Looks like summer and vacation planning are in full force with these sneek peeks. Don’t forget to head over to the store on Friday to grab these and more. Now let’s see what’s coming up for us to play with. And make sure you visit the store on April 1st. You will not want to miss what we have up our sleeve. Happy Wednesday! 🙂 Just stopping by with a few sneak peeks for this week. Let’s see what our wonderful designer’s have for us this week. Watch the blog tomorrow for some Sneak Peek layouts from our fabulous store CT and then head over to the GS Store on Friday to do some shopping. It’s sneak peek time. I don’t know about anyone else, but the last 7 days have been crazy so I thought I would just drop in real quick to show you a bit of what is coming up this week. Make sure to head over to the store to grab these on Friday! My goodness do we have a bunch of sneak peeks (and a few full views) for you this week. I’m just going to jump right in. Aren’t they all lovely? Make sure to head over to the store on Friday and grab these awesome beauties. Good Thursday morning. I thought I would start your Thursday morning off with some sneak peeks for tomorrow’s releases. 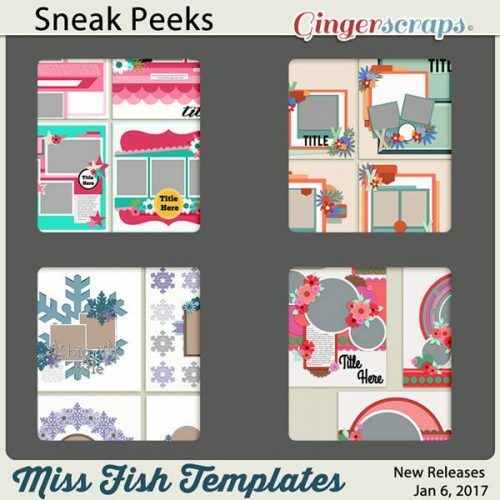 Make sure to check out the blog later to see layouts from our store CT made with these awesome kits. And tomorrow, head over to the store to fill your cart! It’s sneak peek time again. Once again, our designers have out done themselves with their new releases this week. Do you see one that you think you just have to have? Make sure to head over to the store on Friday to see these and more!!! Oh my goodness do I have some fabulous sneak peeks for you this week. Our designers have been super busy. Whew… I am totally excited about the new goodies this week. Make sure you head over to the store on Friday to pick up your favorites. Make sure to check out the blog tomorrow for some sneak peeks from our fabulous store CT. Happy Wednesday. Are you ready for some sneak peeks? Let’s see what the designers have coming out this week. I love the colors of these. I can’t wait to go shopping. Are you ready for the last Fresh Baked of 2016? Where has the time gone? What are your scrapbooking resolutions for the New Year? Personally I want to get my stash organized (I say this every year) and then scrap more (which means getting other areas of my life organized). Leave a comment and let us know what your plans are for scrapping in 2017. Let’s see what our designers have to offer this week. This is just a sampling of what will be available this week. Make sure to head over to the store on Friday to see all the goodies.